The NASCAR Winston Cup teleconference featured Jeff Green, driver of the No. 30 America Online Chevrolet Monte Carlo for Richard Childress Racing (RCR), and his crew chief, Todd Berrier. Green is coming off a career best finish of second place at last weekend's New England 300 and currently sits 18th in the point standings. 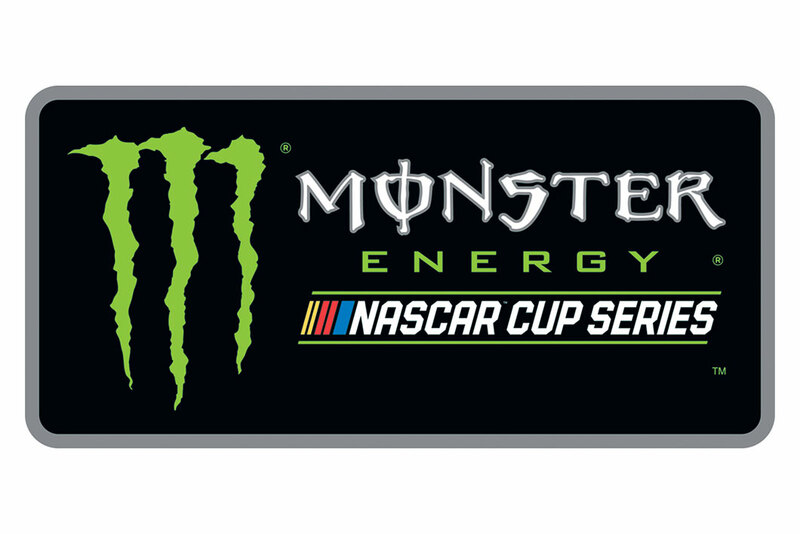 The NASCAR Winston Cup Series heads to Pocono Raceway for the Pennsylvania 500 on Sunday, July 28. Q:Can you give us a quick overview of the first half of the season and your outlook for the second half? "I think that everybody has known that the entire RCR organization hasn't been up to where we need to be. All the guys at the shop - chassis shop, fabrication shop, engine room - is really working hard night and day seven days a week to put our cars back where they need to be. I think we're getting there. 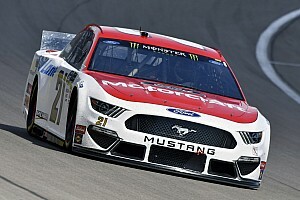 "The AOL car has actually run really good at places and had some chances for top five finishes, but just blew them at the end of the race with pit strategy or something happening on the racecar. I wouldn't be surprised with the way we've been running the past couple of weeks - especially at Loudon - that if we keep doing that and putting ourselves in positions to fun in the top five each and every week, you're going to get wins. Hopefully we can do that. "The rest of the season, we're going back to tracks we've been to as a new team - Todd and myself and the guys are trying to get used to each other - we'll have notes to go back to those racetracks. So we're looking forward to that." "It's been pretty good to me over the years. I haven't got a lot of experience there, but I've run four or five years there. The first race this year, the AOL car had a brake problem right off the bat so we really didn't get to show what we could do. 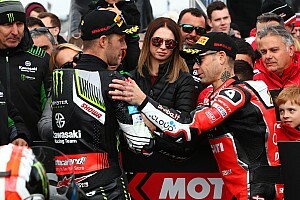 But we're taking what we've learned over the last couple of weeks - especially what we learned at testing at Indianapolis - and we feel like that will help us to have a good result on Sunday." Q:Any special strategy for the Pocono race? "We won't do anything differently. We just have to have a good handling racecar. Pocono is a unique racetrack. You have to handle on all three corners and all three corners are different. Hopefully we can go up there and get our car bulletproof and not break anything. That's a big racetrack on motors and gearboxes with the shifting that we do. We shift a lot around that racetrack - a couple times a lap. You have to be concerned with that and not break anything. 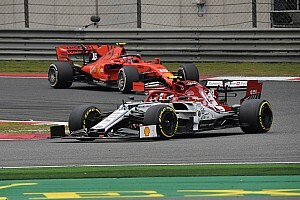 We just need to get our car handling good enough where we can go through those corners better than anybody and hopefully we'll have a good result. Hopefully we'll have another top five; if not, another top 10. That'll build our season and make our team better and put us up in the points where we need to be, too." Q:On his encounter with Joe Nemechek during the race at Loudon last weekend) "I don't want to see anybody have any bad luck or get wrecked. It was totally my fault. I was trying to get around Joe there and he actually came down on me a little bit getting into (turn) one. I could not get slowed down enough without hitting him. The next thing would be to try to lock my car up and spin it out to keep from hitting him. But I didn't want to wreck myself and I didn't want to wreck Joe, either. I hate that in those situations. As much as we race these days - every week - you have to race hard to be able to put numbers on the board. Unfortunately I ran into Joe and ruined his day. But we were able to go on. It actually tore my right front headlight up a little bit on my car. Actually it helped us a little bit. I just hate it for Joe. I don't want to make a mistake and take anybody's day away from them. I owe him a big apology for that." Q:After the race, how do you guys react to each other after an encounter like that? "I haven't seen Joe yet, but I'm looking forward to talking to him about it. I've been in his shoes before. You're made at that particular point and obviously you're mad at what happened, but you just have to put it in perspective and go on. Last week is behind us and next week is our next opportunity to win a race. You just have to look at it like that, I think." Q:When things aren't going as well as you'd hoped, and there are changes like what's been going on at RCR, how do you keep things in focus? "I don't know. I think as a young driver, you'd probably have a tougher time doing it. But as a little bit older driver, I feel like I've paid my dues and I've seen the ups and downs. You just have to deal with it and make it the best situation you can on that particular day and try to build off what you learned and try to make it better the next week. If you can do that, I think you might make your whole team better. You'll make the guys surrounding you look up to you a little bit more and kind of play a role model. Those guys at RCR work as hard as the next race team in the garage area and they want to win as bad as they do too. We just try to pull ourselves together and try to do the things we know we can do right with what we've learned, and hopefully that will bring us to victory lane before long." Q:Is it difficult not to blame yourself during this process? "I don't know. Probably the easiest thing for other people to do is to blame the driver. If you're doing the right thing to the racecar and trying to give all the information you can back to the guys on pit road or in the garage area while practice is going, that's all you can do. I just try to feed the information back to Todd and the guys to the best of my knowledge. I can't do any more." Q:Do you like road racing? "I'm probably one of many in the garage area that just accepts it. We don't do enough of it. Especially in the Busch Series, we only run Watkins Glen once a year. Unfortunately, if you're an owner, you have to build a car for that and you only get to race it once a year. That's tough for an owner. As a driver, it's kind of fun. 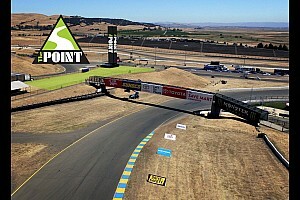 We went to Sears Point this year and I'd never been on the racetrack and we finished fifth. After those days, you kind of enjoy them. But it's nice to go to a track where I know where the corners are and where to use the brake and where not to. As a driver, you look at it as a fun day because you get to hang the car out, burn the tires off of it, shift the gears as hard as you can shift them and hope you come out with a good finish. But for the most part, I think all the drivers enjoy running ovals instead of road courses." Q:Would it almost be better to run more of them so you'd get used to it?) "Yeah, I think if we run one or two - five or six would be better. Again, you have to build a racecar for those one or two races a year. Daytona and Talladega are kind of the same way. But you have to look at it from the fans' eyes. It's a different kind of race. It's fun for them to watch. They can sit all the way around the racetrack and see different views of the racetrack. That's what we're here to do is to try to please them and try to sell AOL products and GM Goodwrench products and Cingular products. If we can do that, that's going to make them happy and sell our sponsor stuff." Q:How can you prevent blown engines and gearboxes this time around at Pocono? "We didn't have any of those types of problems in our three cars. We had a brake problem eight or nine laps into the race. We've figured out what that was. Hopefully that won't happen ever again, no matter where we go. We weren't a part of that, so I don't think we could research that. Some of the engine guys might have at RCR, but I don't know anything about that." Q:Regardless of the track conditions at Loudon, shouldn't tracks be different on a national circuit and not all look like Bristol or Daytona? "I think challenge is good if that's what you're asking. Each racetrack should have it's own face and most of them do. At Loudon, what upset me and a lot of drivers was that the track was coming up. If you got one inch out of line - out of the groove -- you'd get your right side into those marbles or whatever was happening to the racetrack, and you'd lose your racecar. And you'd lose your opportunity to win the race. You had to be really careful. What they - the guys at Loudon -- did to the racetrack was add a lower groove that helped our situation. It helped us to be able to pass. In (turns) one and two, the racetrack was perfect. In (turns) three and four, the racetrack was coming up. If they can cure that, I don't think you'll see as many people complaining. And again, on a flat track, track position is everything. When you have 43 cars that are within half a second in qualifying, it's going to be tough to pass. Drivers are going to tell you what they think - especially some of them - and the fans enjoy that. Again, it was challenging and I'm glad we came out pretty close to the top. Some of the guys further in the back I'm sure had a better argument. But I don't think any driver, car owner, or crew chief wants to race on a track where the blacktop is coming up. We might as well race on dirt if that's the case. That was the only problem we had on Sunday." Q:Were there too many cars on the track? "I don't think that would make any difference. From what they tell me, they repaved (turns) three and four a month ago. And when you have 90-degree weather and 3400 lb stock cars going around it, the pavement is not going to last. In the past, you've heard of tracks doing that and the blacktop comes up, they paved it two or three weeks before the race comes there. I think that was a no-no. That's where they got themselves in trouble. If the blacktop hadn't of come up in (turns) three and four, I don't think anybody could complain about the racetrack. It was probably a better racetrack than it ever has been." Q:How did you and race winner, Ward Burton, have success if the track was so bad? "We had some strategy. There were several that had strategy. We pitted and the tires were so good that they weren't giving up and the cars weren't slowing down any. So there wasn't any need to pit if you had enough fuel to go to the end. Ward and I were able to turn under guys. Our cars were really good at the end of the race. We were able to pass cars. We just had our car in a better situation and we had our pit strategy in a better situation than a lot of other guys and that's how we got up front."